RECEIVE A FREE DISCOUNT & UPDATES! #1 Rated Art Class in NYC! Oil Painting Classes, Drawing Classes, Beginner Art Classes, & BYOB Painting Classes. 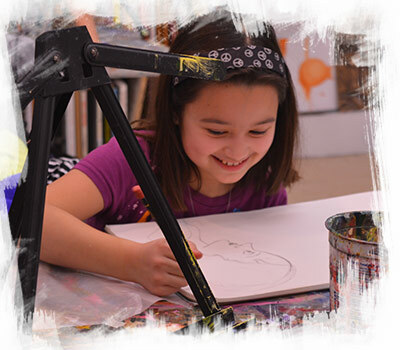 ...and authentic self-expression through our inspiring, relaxing, and entertaining art classes in New York City! Receive customized, one-on-one instruction in our small art classes by our expert artists and allow us to nurture your creative spirit. 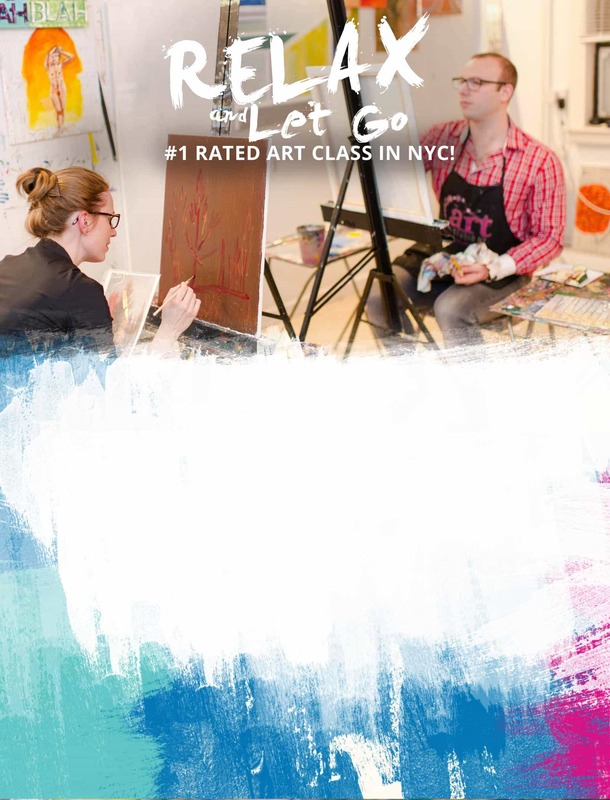 Our renowned NYC art classes teach you a unique balance of artistic technique, while discovering the freedom of your authentic self-expression. Read our reviews on the testimonial page. Enjoy a meaningful connection with our warm, encouraging NYC art class and art studio community through a variety of our New York City art classes for all ages and levels, including: Beginner's Drawing and Painting Art Classes, Children and Teen Art Classes, 1-Night BYOB Painting Art Classes, Private Art Lessons, Art Birthday pARTies, Private Art Events and Parties, Creative Corporate Events, and incredible art retreat vacations around the globe! Celebrate the joy and freedom of your inner-creativity through artistic exploration with the #1-Rated art classes in NYC! Awaken your inner artist and release your creativity! Regardless of your skill level or age, YOU are creative. 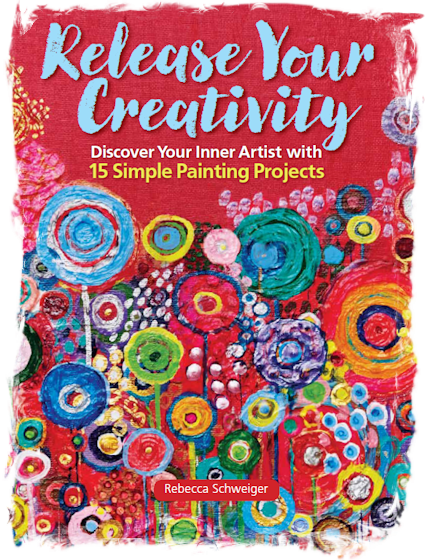 In Release Your Creativity, by Rebecca Schweiger, learn how to create your own meaningful works of art with 15 step-by-step painting projects and mixed-media art projects designed to get your creative juices flowing—no previous art experience required. It's a painting course in a book. Release your creativity and express your true self. 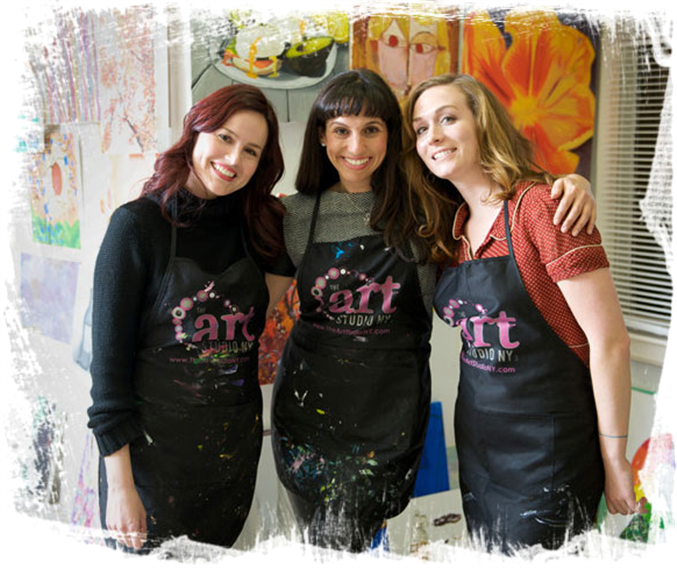 Offering the perfect guidance into expressive painting for beginners and experienced artists alike, these hands-on painting projects and mixed-media art projects are coupled with inspiration and encouragement to inspire your authentic self-expression while creating artwork, and a life, that you love. Through this positive and fear-free approach to creativity both on and off the canvas, you will feel nurtured and safe to enjoy the thrill of freely expressing yourself while feeling empowered to create a life that you love.